Flossing is an essential part of any great dental routine. In addition to brushing, flossing allows you to clean harder to reach places, removing bacteria from your mouth that could cause dental issues such as tooth decay or gum disease. However, not everyone puts as much effort into flossing as they should, while others are flossing with the wrong technique. Setting aside enough time to adequately floss and using the correct technique is essential to get the maximum benefits from flossing. So, what exactly is the right technique for flossing? To correctly floss your teeth, you will first want to select the right variation of floss. Choosing the right variation of floss for your dental needs will help you maximize your flossing routine. There are two different categories of floss: nylon and PTFE floss. Within these categories, there are further options for wax, unwaxed, flavored, or unflavored floss. Nylon floss is stringy in texture since it is made up of several nylon strands, while PTFE is made of one single strand. 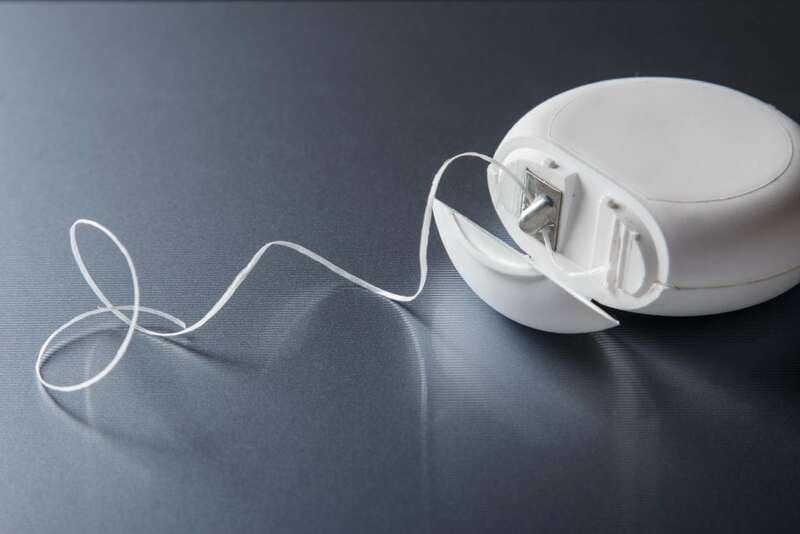 As a result, PTFE can fit into much tighter spaces than nylon floss and is less likely to fray or break. Both types of floss are available in waxed and unwaxed varieties. Waxed floss works well when it comes to fitting into tight spaces, while unwaxed floss will actually squeak against clean teeth, being a good indicator that plaque has been removed. Finally, flavor is simply a personal preference and could potentially add a level of enjoyment to flossing. After selecting the correct variation of floss for your dental needs, you will need to make sure your flossing technique is up to par. The best way to do this is ask your dental hygienist to review your technique with you at your next dental appointment. However, for now Magnolia Dental will offer you a brief guide on the proper flossing technique. You will begin the flossing process by breaking off an eighteen inch piece of floss and wrap the ends around your middle fingers, leaving about 3-4 inches of floss in the middle. Wrapping the excess floss around your middle fingers will leave your thumbs and index fingers free to guide the floss in a “C” motion around your gums and in an up and down motion when moving between teeth. To make this process easier, most people use their thumbs to guide the floss between their upper teeth and their index fingers to guide the floss between their lower teeth. When you are flossing, you will want to be careful not to slap the floss against your gums. Slapping the floss against your gums or flossing too hard can cause gum trauma, gum recession, and even gum disease. You will also want to be sure that you are using a new piece of floss for every tooth to avoid spreading bacteria throughout your mouth. The easiest way to accomplish this is to unwind the floss from your middle fingers, pulling it through after you floss every tooth. You should have enough floss to finish this, however you can always unwind more if needed.